POEM LIFE premieres this Saturday night, March 21, at the VFW in Locust Grove. Here is another post about something you will experience in the show–the chance to have a personalized poem composed on the spot and taken home with you. If you follow ROMP or know the activities I get up to, you already know what poem-in-a-minute is about. You give me 3 words you like or want to see in a poem, and I type up a poem on the spot with those 3 words somewhere in it. Instead of typing poems during the show, I will have a segment where I cassette-record 2-3 poems for people. 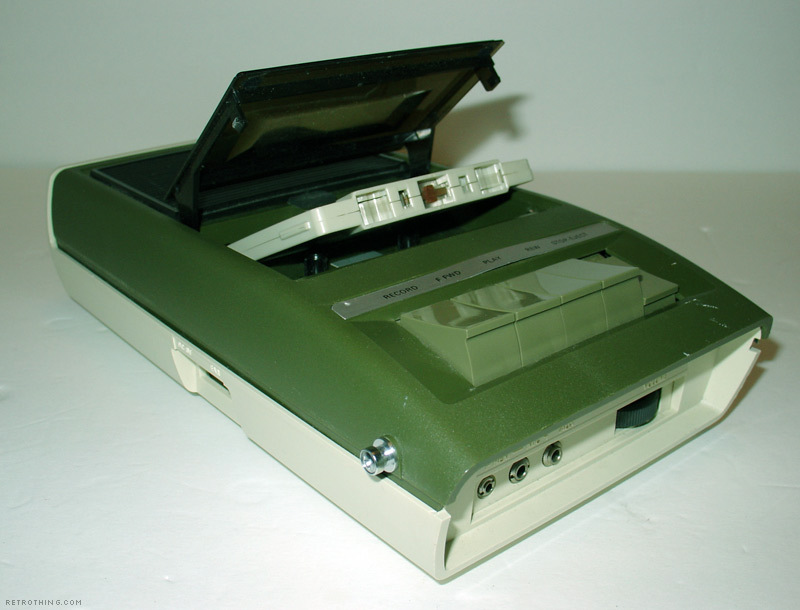 Yes, I have moved up in the technology world–from manual typewriter to cassette recorder. It will be quicker to compose the poem and say it straight into a recorder, rather than to type it–though I’m a quick typer . . typist. Over the years, as a poet, I have discovered my true calling not in the typical poetic endeavors of publishing poems, teaching them and holding poetry readings (all heroic endeavors) but in creating experiences of poetry for other people. That’s the strong teacher side in me coming out. My family has a long history of accomplished educators, and though I occasionally throw in the towel with teaching, I always come back to it in some way. Poem Life and the Rural Oklahoma Museum of Poetry itself have been ways for me to bring together the celebration of poetry with the facilitation of its practice in the lives of everyday people. Poems-in-a-Minute has been one way I’ve extended this philosophy of poetry as experience–having performed at many festivals and venues. Though I no longer strive to have my poetry published (other than on this website), I cannot not be a poet–a wise woman told me that once. I just want to be a poet for other people. Come to the show, ya’ll! There will be a $100 door prize drawing and other fun surprises.